ESS church security in Florida.We are saddened by acts of violence. It also reinforces the fact that churches are among the softest targets. Update – 10-28-18 A horrific shooting a a place of worship in Pittsburgh takes 11 lives. Just short of one year later, we have yet another mass killing in a place of worship, this time in Pittsburgh. And again, ESS has been contacted by Action News in Tampa for the 2nd time this year. Texas – 26 dead and multiple injuries when a man opens fire in a small Baptist church. California – As a Catholic mass ended, a man opened fire on a woman and her companion as they exited, killing them both before killing himself. Alabama – A man was arrested after ramming a car in church parking lot and firing at parishioners. Pennsylvania – A 5-year-old girl was forcibly taken from a church by her estranged mother who does not have custody. Kentucky – Two men were shot as they exited a synagogue. The final numbers for 2017 are in. 118 Violent deaths in one year is the worst violence ever seen in America concerning faith-based organizations. And we could go on…but this simply underscores the need for security and vigilance even in houses of worship. 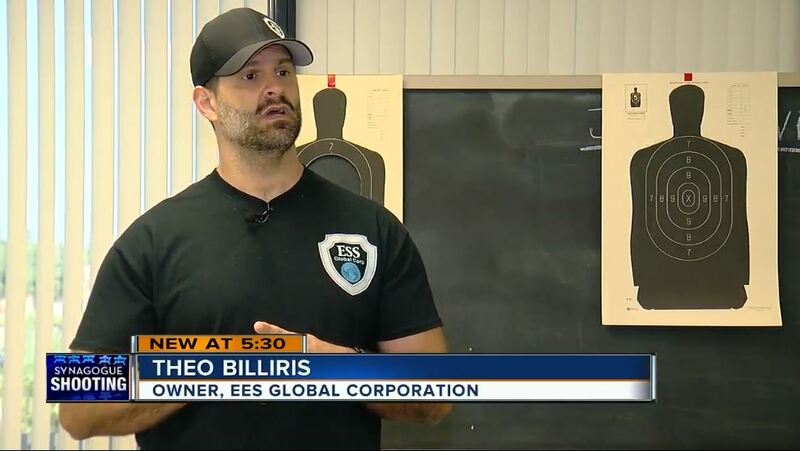 Before you hire an everyday security company, know that ESS Global has trained places of worship in over 60 countries. More than anyone else, we know church and fellowship security. 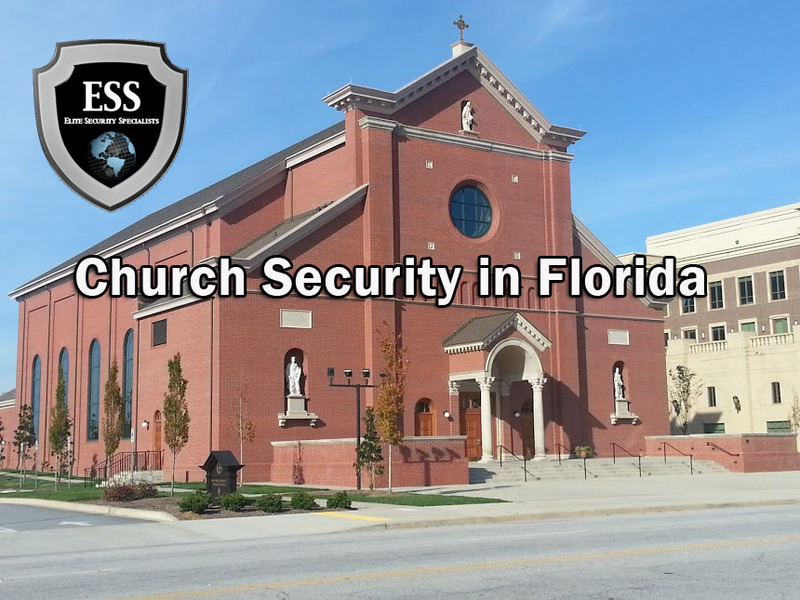 ESS Global Corp offers professional “faith-based” Florida church security in Orlando, Tampa, Miami and throughout Florida. We are saddened by recent violent events and our thoughts and prayers are with the families of the deceased. Over 600 people have died in incidents involving deadly force at churches and other faith organizations in America since 1999 with 118 just last year. Thousands more have been seriously injured. Even before the horrific events in Texas, more people have been killed on church property through this past summer, than were killed all of 2016. Update – Now with Pittsburgh, we are ahead of all of 2017. The sad truth is that church violence is becoming more common. For pastors, priests, rabbis, religious leaders, teachers, and their staff members, security and safety should be on top of their minds. Churches, and other houses of worship face a unique set of security challenges and are all subject to crime and violence. Church Security and Safety should be a priority in all Churches and Houses of Worship. If not, security plans and improvements will not be made, leading to vulnerability, and when you least expect it, an event occurs. While there is no assurance that a violent episode in church can be avoided, you can be prepared for the possibility of an incident occurring and controlling it with the addition of qualified, professional security personnel from ESS Global Corp.
ESS Global Corp also offers church security training. How effective is our faith based church security training? On August 3, 2015, ESS Global Corp received a letter from Brandon White, Executive Pastor at Without Walls International Church in Tampa. Pastor White summed up both the need and the completeness of our services. By taking responsibility for the safety of your church, you will have done the best thing possible to reduce risk. Posted in ESS Global Corp, news, services, training, updates and tagged church security, church security florida, church security miami, church security orlando, church security st petersburg, church security tampa.